Not sure when I'm coming back or if I am, but since you were nice enough to stop by, I thought I should leave a note. 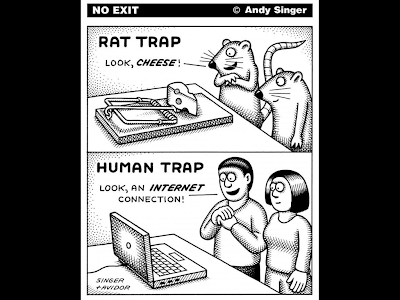 The web has moved on since I started this blog as Pinkpackrat seven or eight years ago, and so, I guess have I.
I'm still writing here and there, mostly though I've taken a break from doing so online, although I still keep my Hubs on Hubpages up to date and occasionally add to the collection. I hang out on Google+. Check out the widget in the margin and join me there if you like. 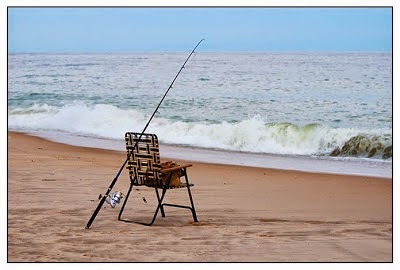 The photo above is purloined from Saltydog's BlogSpot blog and he captured my mood exactly with this photo. 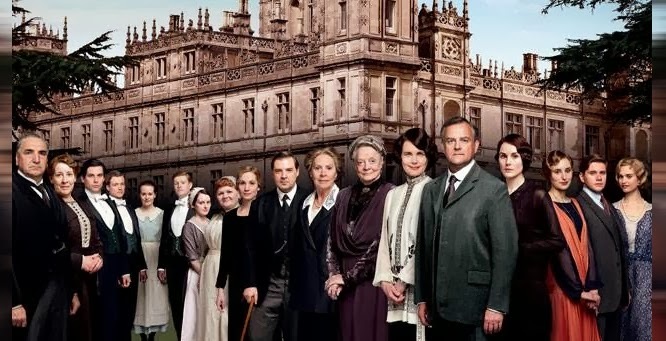 I am so disappointed in Episode One of Season Four that I think I am done with Downton Abbey. I tuned in last week, after months of anticipation and what a letdown. I have never seen so many " set ups" packed into one episode in my life. It began to both annoy and bore me. In spite of wonderful ambiance and excellent acting, I just could not make myself care . Maybe I just have the typical 30 second American attention span, and have reached my limit, but it felt to me like they were trying too hard. The story line seemed forced and over the top. I know it is hard to top that Season Three finale but really. This is just too much. I'm on Downton Abbey overload. I'm starting to find I just don't care whether Lady Mary ever comes out of her funk, nor am I much interested in what happens to Lady Edith and her married man lover/publisher. Lord Grantham is getting to be a bore, and even Carson and Mrs Pattmore and the rest of the downstairs crowd don't excite me anymore. That goes double for Anna and Mr. Bates who should stop being such a pair of goodie goodies and go off to America and make a fortune running a posh hotel in San Francisco. For three seasons, Downton Abbey was a magnificent time machine that transported me weekly to a different era and location, and not only introduced me, but really involved me, in the tragedies and triumphs of people I came to love and care about week after week. Not since Upstairs Downstairs and I, Claudius have I been so involved in one of these historical dramas that the English do so well. But, like everything else, it had to end sometime. The internet is awash in Downton Abbey memorabilia, which is a sign that the end is near. 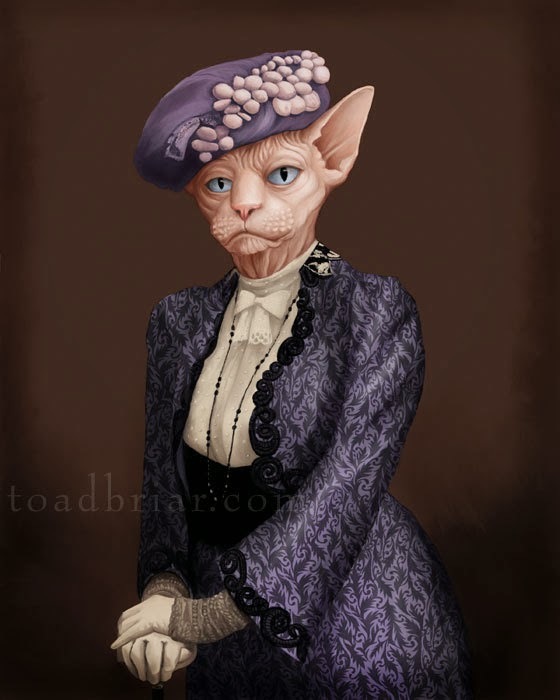 Do a search for Downton Abbey on Etsy and you will find everything from Downton Abbey note cards and jewelry, to samplers and drink coasters featuring Downton Abbey quotes, to my personal favorite: Maggie Smith's character,the Dowager Countess as a cat portrait. No further comment needed, I think. I'll probably tune in again this Sunday night for episode two of season four, and I am truly prepared to be pleasantly surprised, but if things don't improve rapidly, I'm done with Downton. For a town of around 4,000 souls, Lambertville, New Jersey has a lot of restaurants, thirty six to be exact. From luncheonettes to four star palaces of gustatory delight, Lambertville has it all, and as you can imagine, the competition is fierce. 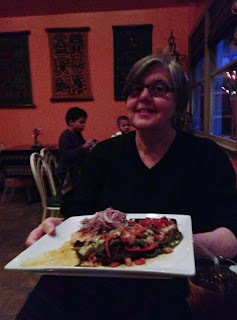 Did I mention that Lambertville is where I live and that I like to eat out? Oh well, you get the picture. In the twelve years that I have lived in Lambertville, what is now El Tule Mexican Peruvian Restaurant has had at least three incarnations, El Tule is just the latest, and for my money it is absolutely the best. It has quickly become a town institution and a destination for visiting foodies from New York and Philadelphia. I've been going there almost since it opened about two years ago. Peruvian cuisine is a whole new world for me and at El Tule, where the food is great and the friendly staff even better, I get to explore it at leisure. In summer I eat outside, usually with a group of friends, in a cozy patio, under the protection of a big umbrella. At night there are twinkling lights and often a cool river breeze. 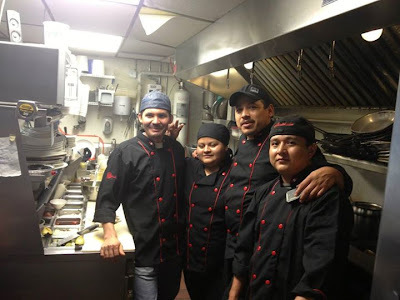 But, indoors or out, summer or winter, there is a wonderful, informality and welcoming feeling projected by the family that owns and runs El Tule. They clearly love what they are doing. There is both a Mexican chef and a Peruvian chef. 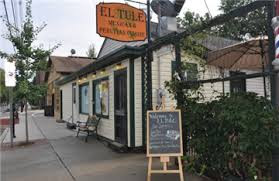 Both are excellent, but dine at El Tule one or two times and you will see that these two Latin cuisines are as different from each other as, let's say, French and Greek cooking. Learning about both cultures and cuisines at El Tule is like being invited into a family home for dinner. It's a marvelous experience. I find it hypnotic. I'm fascinated by tacu tacu and ceviche and the use of unfamiliar and delicious varieties of corn, peppers and delicate herbs in the Peruvian dishes. I love the robust, more familiar flavors of the Mexican platters as well. They bring back wonderful memories of visits south of the border. A couple of months ago I met a friend there on a Wednesday night for an early dinner. The place was packed as usual and there was a guy with a wildly professional looking camera walking around videotaping the place. What's up? I asked the owner. Turned out they were from Wildemedia TV News doing a segment for a feature of theirs called Latin Flare and guess what, they ended up interviewing me and my friend Karen, the foodie, for the segment. I'm in heaven. I finally got my big 15 minutes on YouTube. 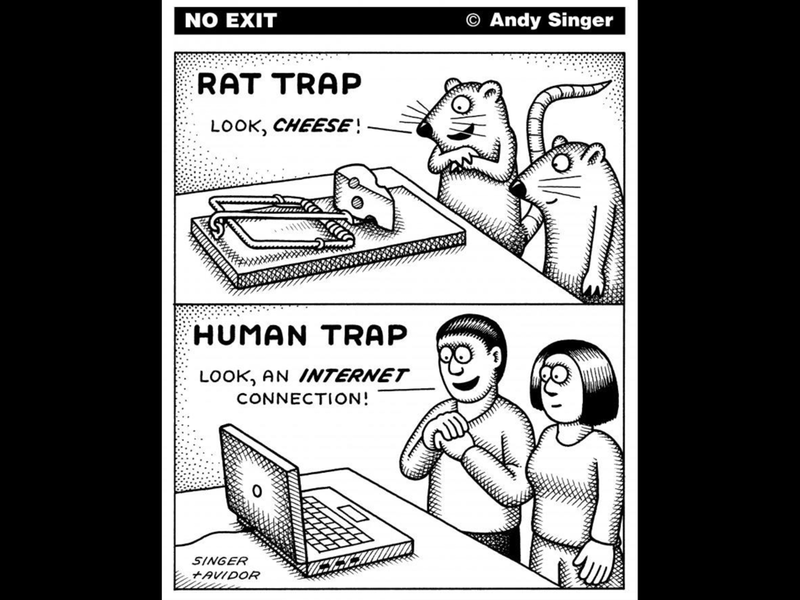 Addicted to the Internet? Moi? It's like any other addiction. You think you can quit anytime you want to and by the time you are in trouble, and can't quit, it's too late. I'm there. From the first time that I went online in 1995 with my Mosaic browser and saw what was out there, I was doomed. I saw the potential of the internet from the very first moment. This is big, I thought, as big as the Gutenberg Bible. At a time when print media was laughing all the way to the bank and internet advertising consisted of tiny little banner ads and a few blinking link rings, I knew, deep in my heart that this was going to change everything. Within a year I had my own website: this at a time when most people of my generation didn't even have an email address. I was hooked, but, of course, didn't know it. I posted on bulletin boards and learned a bit of HTML and met a lot of interesting people online in the moments I could spare from job, home, kids and life. Once I retired and had the leisure to do it, I started blogging and hanging out more on social media sites that were fast replacing chat rooms and bulletin boards. It was all over when I discovered Facebook. I'm only grateful I never got into online gaming and Second Life. I would have been a goner. Most recently, I have become enamored of Google+ and can't say enough good things about it. The one problem is, I go on just to check out my notifications and BAM I visit a few communities, post a couple of comments and look up and it is three hours later..... where did the time go? I've been down this road before. Last year I got an iPhone which was like an alcoholic getting a hip flask..... the internet went with me wherever I went. I was one of those people you hate who takes out their phone on any pretext and starts looking things up or responding to texts. So, I have set up a schedule for myself. I've got a timer on my laptop and I don't take my iPHone with me when I go out(well I TRY not to). I decided to keep my old landline and am using it for phone calls as much as I can. I have made a commitment to swim and go to the gym a couple of times a week and I hope all this brings me out of cyberspace and back into the real world. I really have to get a handle on this. If you, like me, are a devoted Downtonista waiting with baited breath for Season 4 to begin airing on this side of the Atlantic, take heart. A wonderful Musical Parody and Season 4 sneak peek surfaced a couple of weeks ago on YouTube and is here to save the day. Colin Andrew Mochrie, of Whose LIne Is It Anyway? fame, is brilliant as Downton writer and creator, Julian Fellowes. He serves as a sort of narrator, holding the musical numbers together. My fave is a duet about tea and teabags sung by Carson and Mrs Hughes. I won't spoil your fun. 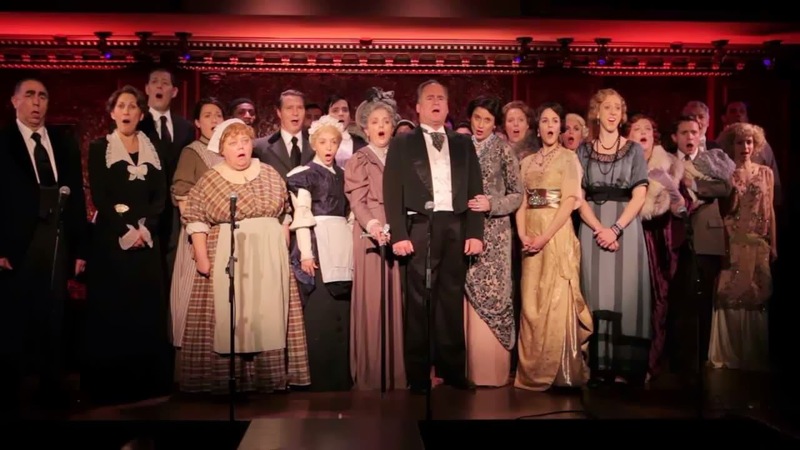 Check out Vanity Fair's fabulous review and then watch the video. You are going to laugh yourself silly. I promise. There is lots I don't like about Henry Ford, but there is no denying he was a fascinating and complex character. This quote of his is one of my favorites and while Henry Ford and I don't agree on much ( he was a violent anit-Semite who hated labor unions and was happy to make a profit from war as well as peace) we do agree on this definition of getting old. On the other hand, he was definitely a visionary. It's just that his visions were sometimes a little warped.